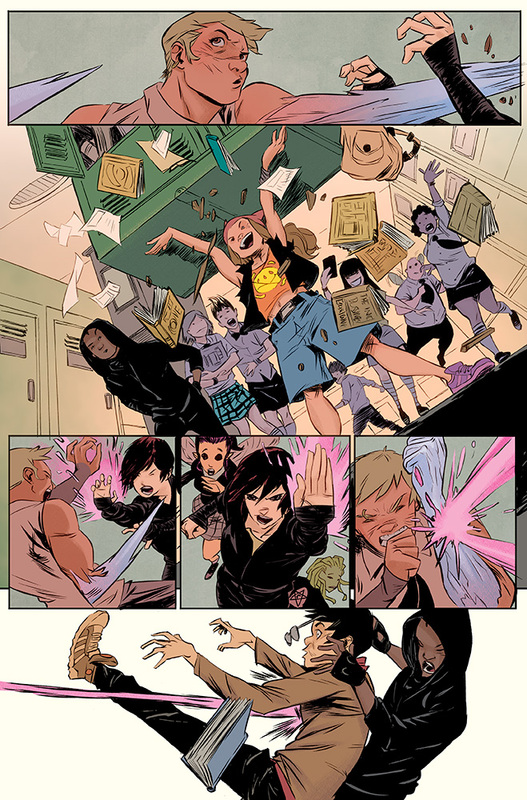 Marvel has announced that Runaways will return in June, which is exciting enough news in itself, but even more terrific is its writer — Noelle Stevenson! Stevenson is gathering plenty of praise for her Nimona, and she’s shown skill writing groups of young people in her work on Lumberjanes. 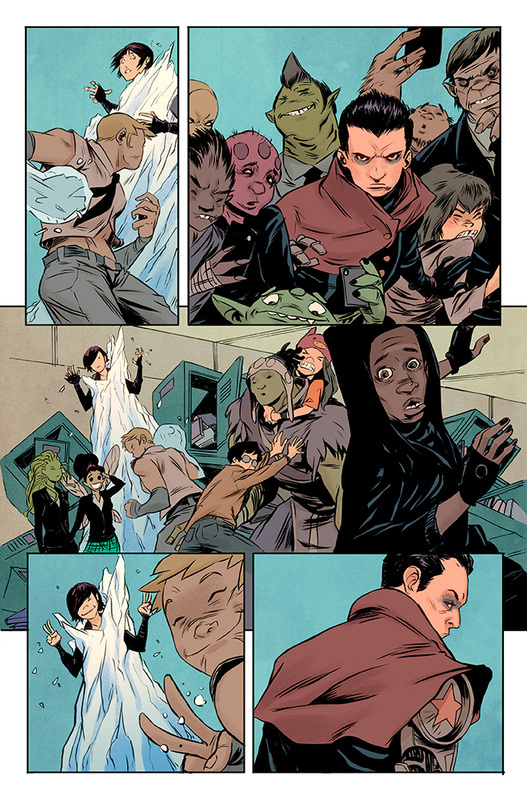 I’m also looking forward to the character lineup — Molly Hayes, Jubilee, Bucky Barnes, Cloak & Dagger, Amadeus Cho, Skaar, and a “few new faces” — mainly because I loved Amadeus in the Hercules series. The series will be drawn by Sanford Greene, including the cover above, with a variant cover by Phil Noto, shown below. They are the brightest teens, brought together from all corners of Battleworld to attend the prestigious Doom Institute in the planet’s capital. 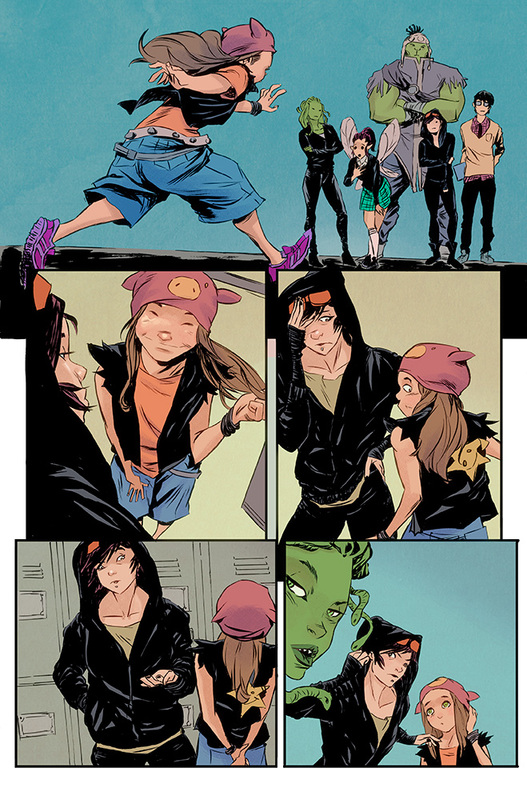 But this June, they’re going to become… Runaways! Classes, exams, detention. Seems like a normal school, right? Except your headmaster is actually a diabolical super villain, and the final exam is a brutal match to the death! Only one solution: RUN AWAY! Now, super powered teens … are set loose on Battleworld. If they survive the horrors of the Secret Wars, they just might learn a thing or two.